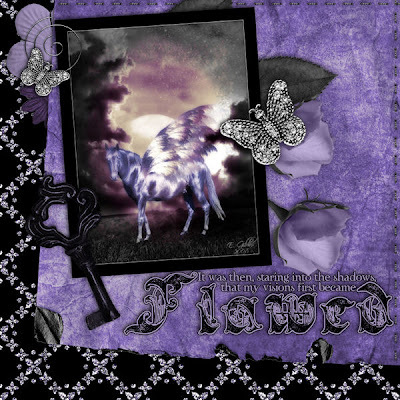 FlutterbyeFaery Designs: Midnight Dreams Freebie! If you are a little bit goth or know anyone a little bit goth, here's a great kit for you. I was in a bit of a Gothic mood so I made this kit. due to file size thanks to the worn and torn papers, this is broken up into 2 downloads. What a beautiful kit this is. I'm so sad the link doesn't work anymore. Am i too late or could you fix it please? Thanks in advance! schellie, the links work. try again. The download links are where it says "Download Part 1 Here & Part 2 Here"
I tried several times, but it keeps saying the link is invalid. At first it starts well, but when the waiting time is ready it comes up with the invalid link message. Could you please look into it? Thanks, now they do work fine! It's even more beautiful than i thought!